Two police constables who witnessed a man being strung upside down to a tree in Thane and beaten brutally have been suspended. 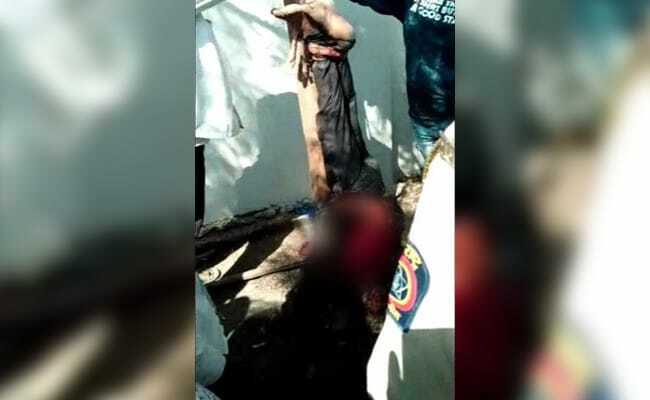 A man is strung upside down to a tree, his hands and legs tied, and thrashed mercilessly in a video from Thane near Mumbai that has gone viral. One of the most disturbing sights in the video is that of two policemen watching and doing nothing to stop the assault. The 28-year-old man, said by locals to be mentally unstable, was beaten with rods and sharp weapons till he stopped writhing and screaming in pain. He died soon after. His attackers, Amit Patil, Sagar Patil and Balram Furad, were arrested on Monday. Police constables HN Garud and SV Kanchave, who witnessed the barbarism without acting, have been suspended. The man who was beaten is yet to be identified. What provoked the assault is still not clear. Locals say that the man got off a truck and started vandalising shops, which enraged locals and led to 100-odd people gathering in the area. The police say documents found on the victim reveal he was receiving medical care for a mental condition and was from Azamgarh in Uttar Pradesh.